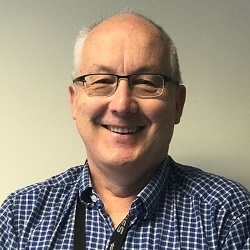 A/Professor Rik De Decker is the Director of the Cardiac Catheterisation Laboratory at Red Cross Children’s Hospital and has developed CATHCHAT, a novel online platform for the online teaching of interventional catheterisation skills in children. He has subspecialised in both paediatric cardiology and clinical genetics and was instrumental in setting up the cardio-genetic clinic at Red Cross Children's Hospital. As a paediatric cardiologist he is involved in the management of children with heart disease and as a clinical geneticist with an interest in the genetic aetiology of congenital heart disease he focuses on the detection of the syndromic associations of children with heart disease. 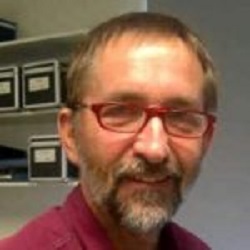 A/Prof De Decker is an investigator on the PROTEA and LCZ studies. 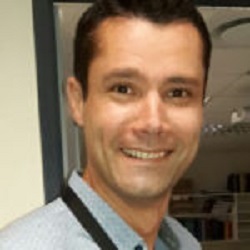 Dr George Comitis completed diplomas in Child Health and Anaesthetics both in 1997, after which he undertook specialist training in paediatrics - graduating in 2004. He then went on to further subspecialise and graduated with a fellowship degree in paediatric cardiology from the College of Medicine of South Africa in 2010. He is the Director of the Echocardiography Laboratory at Red Cross Children’s Hospital and his primary clinical interests include echocardiography and multi-modality imaging. 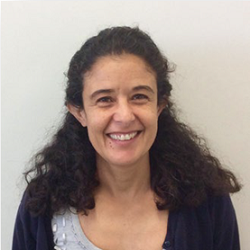 Dr Comitis is the co-lead investigator of the IMHOTEP study at the Red Cross Children’s Hospital site as well as an investigator on the PROTEA and LCZ studies. Dr Barend Fourie completed his Bachelor of Medicine and Bachelor of Surgery degrees at the University of Pretoria in 2001. Following this he undertook training in general paediatrics at the University of Witwatersrand for which he received a fellowship degree from the College of Medicine of South Africa in 2010. Dr Fourie then went on to further subspecialise in paediatric cardiology at Chris Hani Baragwanath Hospital, graduating in 2014. He is now a full-time consultant at Tygerberg Hospital and has specific clinical interests in cardiac catheterisation and multi-modality imaging. He is the co-lead investigator of the IMHOTEP, INVICTUS and PROTEA studies at the Tygerberg Hospital site. 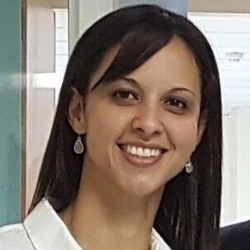 Dr Lenise Swanson completed her diploma in Child Health and Development in 2006, after which she undertook her training as a general paediatrician at Tygerberg Hospital – graduating with a fellowship degree in paediatrics from the College Of Medicine of South Africa in 2012. During this time she also conducted a research project in the field of childhood nutrition for which she was awarded both an academic prize for research excellence and a Master of Medicine degree from Stellenbosch University in 2013. She has since completed her subspecialist training in Paediatric Cardiology at Red Cross Children’s Hospital in 2017 and joined the CHRDU on a part-time basis in the same year. Dr Swanson’s primary role within the unit is to provide the clinical data input required for the IQIC project as well as perform clinical duties. 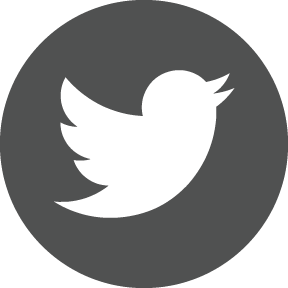 Dr Thomas Aldersley first completed a Bachelor of Science Honours in Zoology before completing his medical degree, both of which he obtained from the University of Witwatersrand. He then moved to Cape Town for his post-graduate internship and community service where he worked in paediatrics. Upon completion, he continued to work as a paediatric medical officer in both general paediatrics and neonatology. 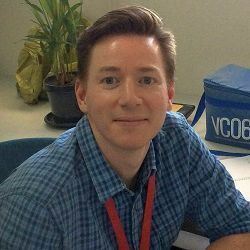 Thomas joined the unit in September 2017 as a research medical officer, primarily working on the PROTEA study, where he assists with implementation of the registry database and the enrolment of patients. 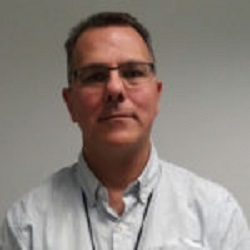 He also works on the cardiomyopathy database (IMHOTEP) and is involved in LCZ, a clinical trial investigating the efficacy of sacubitril/valsartan in the treatment of paediatric patients with heart failure. Sr Alexia Joachim is a professional nurse who trained at Johannesburg Hospital. Upon graduation, she began her career in the medical ward at Red Cross Children’s Hospital and her subsequent professional experience has been primarily in paediatric subspecialties. Alexia was a member of the Cape Town REMEDY team from 2010 - 2014 where she enrolled and managed local participants, as well as conducted site visits and training. She joined the CHDRU as a research nurse in November 2016 and is assigned to the ADOLE 7C, INVICTUS, and PROTEA studies.